Ursula K. Le Guin – The Future is Female! Ursula K. Le Guin (October 21, 1929–January 22, 2018), born Ursula Kroeber in Berkeley, California, was the daughter of Theodora (Kracaw) Kroeber, an anthropology student and later a writer, and Alfred Kroeber, head of the University of California anthropology department; she had three older brothers and stepbrothers, with whom she spent summers on the family’s small ranch in the Napa Valley. At ten or eleven she submitted one of her early literary productions to Astounding Science Fiction, of which she was a devoted reader. Graduating from Berkeley High School in 1947, Le Guin attended Radcliffe College and then Columbia University, from which she earned a master’s degree in Renaissance French and Italian language and literature in 1952. The following year, on the way to France as a Fulbright scholar to pursue her doctorate, she met fellow Fulbright recipient Charles Alfred Le Guin, and they married in Paris. Returning to the U.S., both began teaching, first at Mercer University in Macon, Georgia (he in the history department, she in French), then at the University of Idaho. Settling permanently in Portland, Oregon, they raised three children, Elisabeth (b. 1957), Caroline (b. 1959), and Theo (b. 1964). Le Guin’s first published works—“Folksong from the Montayna Province” (Prairie Poet, Fall 1959) and “An die Musik” (Western Humanities Review, Summer 1961)—began her series set in the fictional European nation of Orsinia, later expanded with the story collection Orsinian Tales (1976) and the novel Malafrena (1979). She began to appear in genre magazines with the time-travel story “April in Paris,” in the September 1962 Fantastic Stories of the Imagination, and published her first science fiction novel, Rocannon’s World, in 1966. Le Guin’s subsequent works include the multiple-award-winning novel The Left Hand of Darkness (1969), The Lathe of Heaven (1971), The Dispossessed: An Ambiguous Utopia (1974), and Tehanu: The Last Book of Earthsea (1990); story collections The Wind’s Twelve Quarters (1975), The Compass Rose (1982), Changing Planes (2003), and others; and collections of essays and poetry. 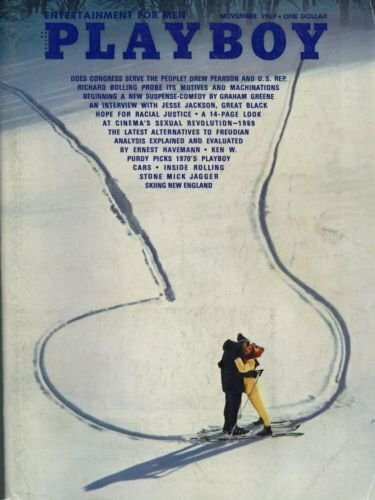 In 1993, with Brian Attebery, she edited The Norton Book of Science Fiction: North American Science Fiction, 1960–1990. 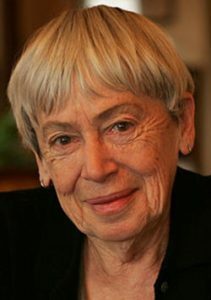 Le Guin’s accomplishments have long been recognized by her peers: in 1975 she was named the sixth Gandalf Grand Master of Fantasy; in 1989 the Science Fiction Research Association granted her a Pilgrim Award for Lifetime Achievement; in 2001 she was inducted into the Science Fiction Hall of Fame, and in 2003 she became the Science Fiction and Fantasy Writers of America’s 20th Grand Master. Elected to the American Academy of Arts and Letters in 2017, before her death in Portland Le Guin was revising and adding new material to her 1985 novel Always Coming Home, for a new edition in the Library of America series.